You would be forgiven for suspecting sometimes that if there is a being that governs F1 fates, then it is one possessed with a wicked sense of humour. This is given the regularity with which it tramples all over some widespread expectations framed in advance, and with size 12 boots. Let us rewind back to the latter part of last year when some of the driver pairings for the sport's top rides were firmed up for the 2014 campaign. One was Daniel Ricciardo joining Sebastian Vettel at Red Bull, with Ricciardo expected by most to be only the most minor irritant to the world champion. Some thought he was hired precisely on that basis. Not so. If anything it is the Australian that has swatted Seb away as if he were a midge. As for Mercedes, many thought that Lewis Hamilton - feet now firmly under the Brackley table - would get a firm upper hand on Nico Rosberg, more so than he did in 2013 at any stretch. No - eight races in and Nico has a points lead in the drivers' standings amounting to more than a race win. And then there's Fernando Alonso having Kimi Raikkonen parachuting onto his Ferrari patch. Ah yes, that one. It may seem odd given what we know now, but when that face-off was confirmed many donned tin hats. Shrapnel was supposed to fly from the Maranello direction. Some rubbed their hands with apparent glee at it all. Alonso without his resolute number one service and/or a lackey team mate at the Scuderia (and Renault) would be exposed for what he was they said; a sort of F1 equivalent of the tide going out to reveal that you've been swimming without trunks. Furthermore Alonso being beaten would result in him going to pieces; spitting the dummy (whatever that means). Leaving the Kimster across the garage - who of course is possessed with a devil-may-care persona - with a free run. It would be 2007 revisited. The emperor would have no clothes. Well as things stand the Spaniard still stands resolute over his empire. 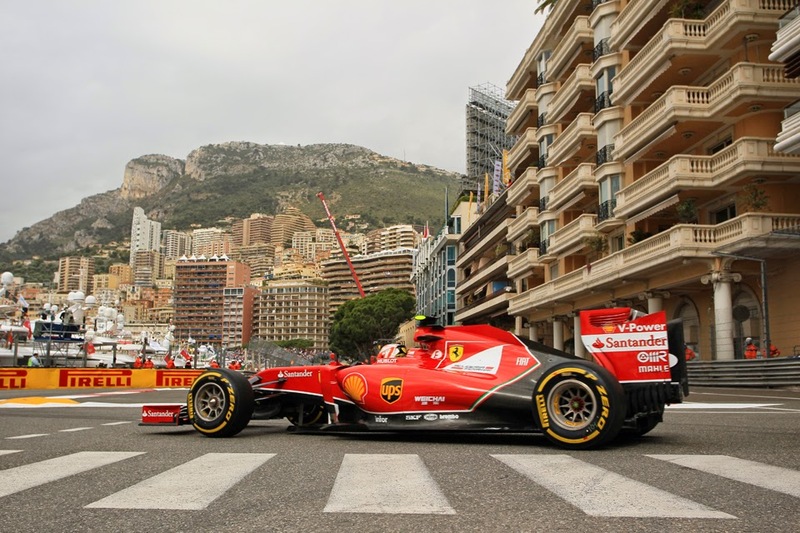 In race results the match-up between him and his new team mate Raikkonen so far is a whitewash 8-0 to Alonso. In qualifying it's 6-2 (and in one of those two reverses Alonso had an engine problem in qualifying), him qualifying with an average advantage of 0.73secs. Currently he has 79 points to Kimi's 19 - which just so happens to be the largest points gap between any two team mates in the table, and by quite a distance (the next biggest gap is almost literally half the size, the 31 points between Nico Hulkenberg and Sergio Perez). And evidence that Raikkonen is edging closer over time is scant. Indeed in the last two rounds in Canada and Austria Alonso's looked if anything further away than ever. Raikkonen can point to some bad luck, such as punctures sustained in Malaysia and Monaco, the latter depriving him of a probable third place (then again, if Alonso hadn't been boxed in at the start, if Alonso hadn't had an ERS problem that day, if the mid-race safety car that just about everyone pitted under hadn't removed the one reasonable chance of swapping places around the Principality's tight confines. If ifs and buts were candy and nuts we'd all have a Merry Christmas). But such instances have tilted the balance only slightly, and in the direction it was rather heavily tilted anyway. And for all of the talk of Maranello being Fernando's personal fiefdom, it can't be said either that Ferrari hasn't been proactive in helping Kimi find answers to his plight. As early as round one then-team principal Stefano Domenicali outlined that assisting Kimi to find his form was a priority. Now apparently Raikkonen has parts on his F14 T bespoke to him and his handling preferences (just to digress inspired by some devilment, imagine the resultant chat with an identical scenario but with Alonso and Raikkonen's names reversed...). His engineering strength has been reshuffled too. It may all be constructive, but it could equally be behaviour of people throwing things at a wall in the mere hope that something sticks. Technical Director James Allison too rather let at least some of the cat out of the bag by pointing out recently that the handling feedback of both Maranello pilots has been similar. Nigel Roebuck pointed out too on the matter of a driver bemoaning, or having it bemoaned on their behalf, that a car doesn't suit their driving style: 'When was such a thing ever said of Senna or Schumacher or Alonso? A great driver surely adapts to what he is given, doesn't he? These are very different times, I grant you, but spare a thought for Stirling Moss, who won at Monaco in a Maserati 250F and a Lotus 18.' Whatever is the case pointing to apparent handling fussiness doesn't offer a way out. Not entirely anyway. Perhaps however the most fitting explanation also is about the most straightforward one, that what we're seeing at Ferrari in 2014 is in large part down to that Fernando Alonso is very good. Exceptionally good in fact. Without hyperbole one of the best that the sport has ever seen. 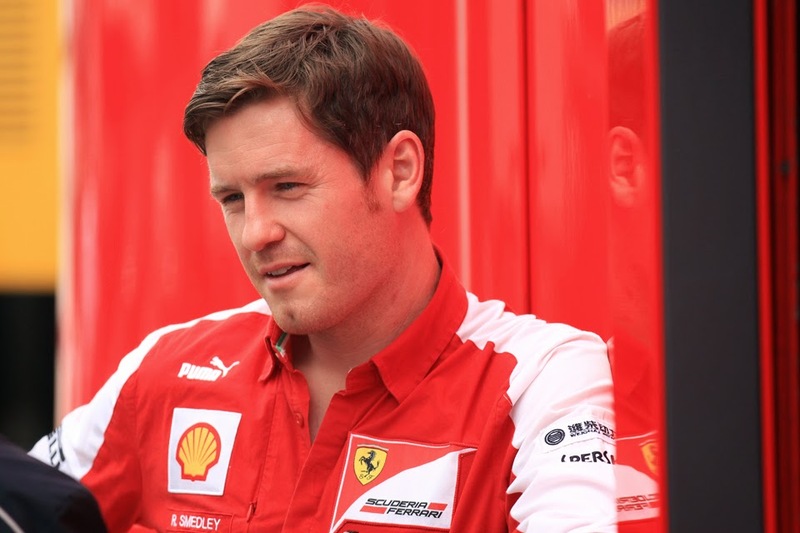 Has Rob Smedley found the most likely explanation? Perhaps in this most complicated of sports we miss that even herein the most fitting explanations can on occasion be disarmingly simple. It all shouldn't have been much of a surprise either. Let's not forget that Alonso has spent most of the past few years establishing himself to be, by consensus, the best and most complete competitor in contemporary F1. Many drivers, including Lewis Hamilton, rate him so, as do plenty of team principals. It's hard to imagine that this is simply the result of a confidence trick. Towards the end of last season Massa - in a unique position to judge - even described Alonso even as 'even more perfect' than the lauded Michael Schumacher. Of course, you could say that Massa would say that, given the general competitive order of things in his time paired with the Spaniard. But from watching the interview wherein he gave the tribute I didn't get the impression that he was indulging in desperate self-justification. His tone and demeanour instead were sober, reflective. And as for those expectations of Alonso-Raikkonen fallout outlined above, to be brutal for a second time makes you wonder what the lingering 'Alonso's not all that' crowd actually have been watching on Sunday afternoons in recent years. Yet as we've seen it's possible to believe just about anything, and to keep believing it as well as to come up with supposed reasons supporting your view, if one is determined enough. And some find holding contrary views alluring. These days they have plenty of platforms to tell people what they're thinking too. As a friend once said to me, had the internet existed in 1957 there would likely have been people on it typing things to the effect of 'tell you what, that Fangio's over-rated. His making up 45 seconds on the Ferraris in 10 laps at the Nurburgring was down to superior equipment, clearly'. But hopefully the goings-on of the 2014 campaign thus far will have swayed even at least some of the lingering refuseniks. Whatever is the case, Fernando's precise contribution to the Ferrari effort in recent times, if it wasn't obvious already, surely has become so now. And that was the problem. Those with the advance expectations mentioned of the lay of Ferrari land in 2014 seemed to miss one thing from their calculations. A rather crucial part. They seemed to reckon without Fernando Alonso himself. Congratulations for this lucid and remarkably well written post. Thanks very much for your kind words, it's very much appreciated. Like you I get annoyed that some fans seem very quick to start talking of conspiracies when one driver in a team gets less good results than expected (see Mercedes too just lately). For me it just makes no sense - *why* would a team invest so much time and money in a driver only to then scupper him deliberately? 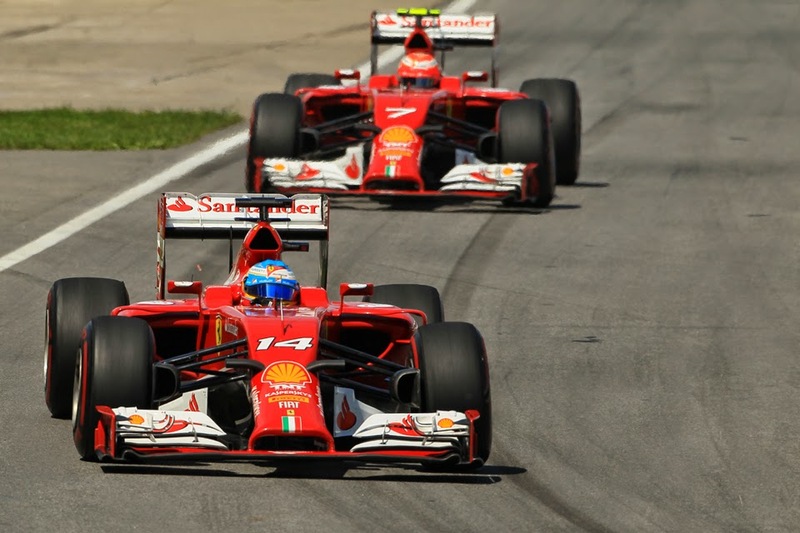 Like you too I reckon that the Alonso-Kimi gap will close if the Ferrari improves. It seems that we see the biggest gaps between Alonso and whoever his team mate his when the car's struggling - Alonso seems peculiarly able to haul lap times out of it! Excellent article, Many drivers are remembered by his stats, I think Alonso, even if he retires with only 2 titles, he will remembered by his driving and his unquestionable ability to drive fast under any circumstances. Thanks Riela. Yes I agree. Two titles seems a poor return but let's not forget that Stirling Moss didn't have any! These things are about more than mere statistics. "makes you wonder what the lingering 'Alonso's not all that' crowd actually have been watching on Sunday afternoons in recent years." Indeed, it is baffling. Just as it was with Prost. As under appreciated as they come. Thanks :) Agree too on Prost, currently he's incredibly under-rarted by history, That can only get better though, I find it impossible to think Prost won't be 'rediscovered' some day. Numbers talk by themeselves but you have put them right and clear! Congrats! I've been saying for years that the worse the car the bigger the gap between drivers of Alonso's nature and their team mate. See Senna lapping Damon Hill after 56 laps in Brazil '94 when they were teammates in the ill handling Williams. When did Prost ever had such a big gap over Hill?